In spring on the Oregon Coast, the first sight of Tufted Puffins in Cannon Beach draws visitors to Haystack Rock for an up-close look at these beloved birds. Capistrano may have its swallows, but Cannon Beach has its puffins and on April 3, the first of the Tufted Puffins began arriving on Haystack Rock according to the community's Haystack Rock Awareness Program. 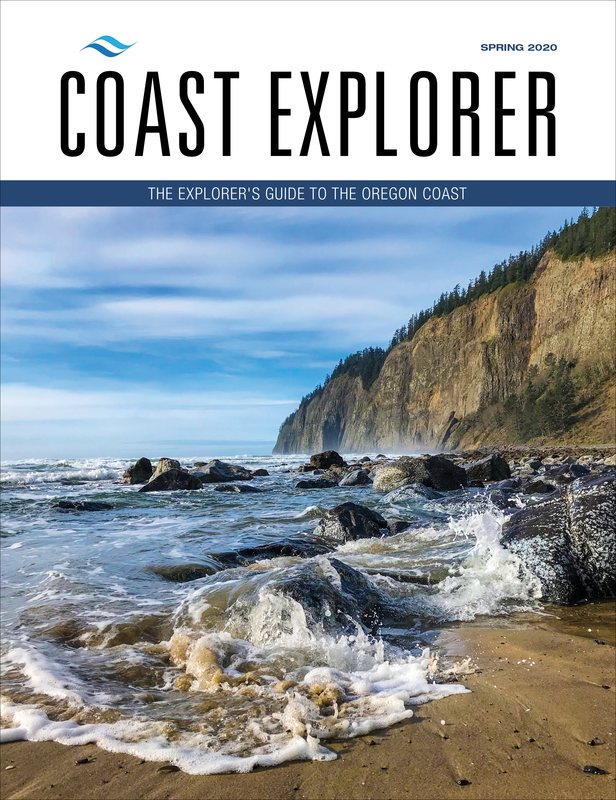 Each spring, puffins that have spent the last eight months floating and diving on the open seas of the Pacific Ocean return to Cannon Beach's Haystack Rock to lay eggs and raise their chicks. Tufted puffins primarily nest in inaccessible locations, usually remote, rocky islands with grassy areas where they burrow their nests. 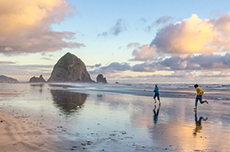 Haystack Rock in Cannon Beach provides one of the Northwest's most accessible locations to observe puffins nesting in their natural environment. 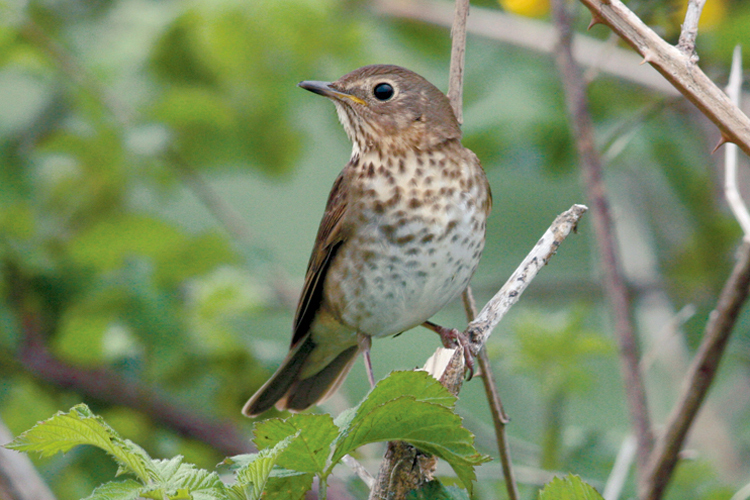 Up close, they are one of nature's most striking birds. Their black, football-sized body is topped by a white face, thick, orange bill and exaggerated yellow eyebrow tufts. 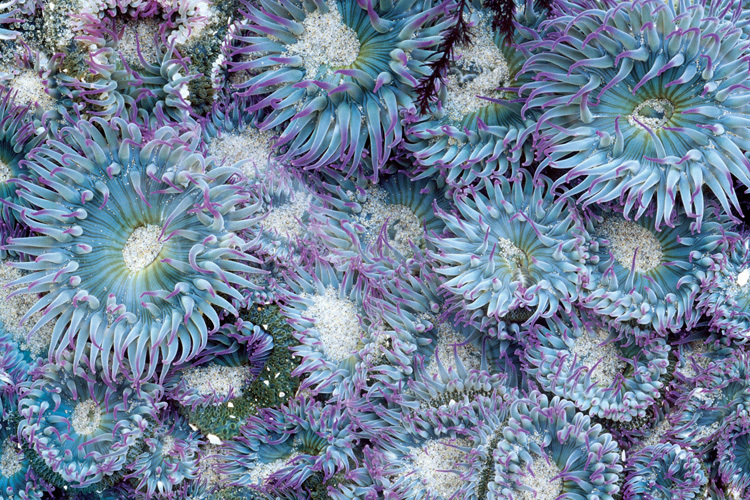 From a distance, they are also easy to recognize. In flight, they flap their wings rapidly and continuously to keep their stocky bodies airborne. Puffins are much better divers than they are fliers. They literally fly underwater, flapping their wings in pursuit of fish to feed themselves and their new brood. Most of the year, the puffins are a non-descript gray, but come spring, their trademark bright breeding season colors emerge. The puffins are most visible and active at Haystack Rock from April through early-July. By late August, the puffin chicks will be ready to return to open seas with their parents. 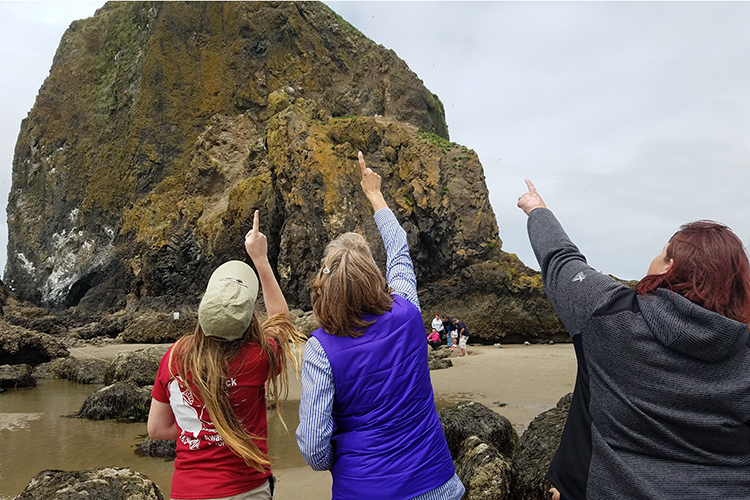 For the best viewing at Haystack Rock, bring your binoculars, bird spotting scope or visit at daytime low tides when interpreters from Cannon Beach's Haystack Rock Awareness Program are on the beach with spotting scopes focused on the nesting birds.